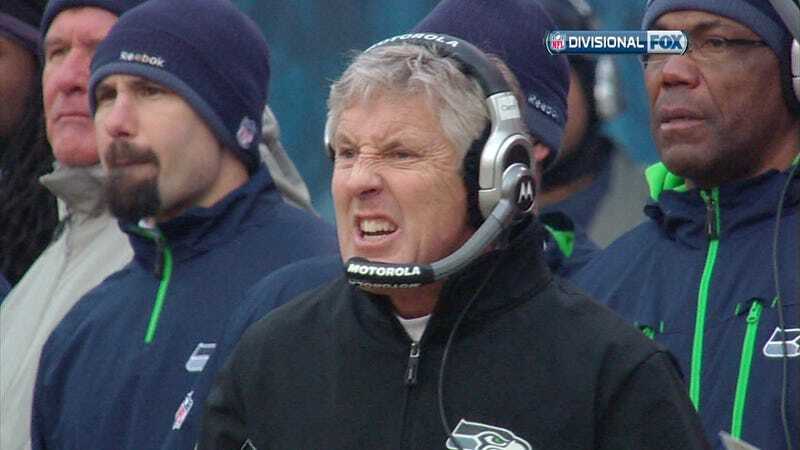 Is Seahawks coach Pete Carroll a 9/11 truther? That all depends: Does badgering a former four-star general about whether 9/11 was real make one a truther? Here's what happened, according to a couple sources: Late last spring, retired general Peter Chiarelli, who had just finished his term as the Army's vice chief of staff, visited Carroll at the Seattle Seahawks headquarters. Chiarelli was expecting a pleasant meeting. After all, the pair had what important businesspeople tend to call synergies: Chiarelli—who grew up in Seattle—is a big Seahawks fan. His post-military work concerns traumatic brain injury research, a cause of some significance to the NFL. And both have plenty of experience leading groups of men on grand American stages. In particular, Carroll wanted to know whether the attack on the Pentagon had really happened. Chiarelli—who was the top-ranking Army official inside the Pentagon when American Airlines Flight 77 crashed into its western side—explained that it had. He said he had lost many colleagues. But Carroll didn't stop there. He ran through the whole 9/11 truther litany. Carroll isn't crazy, Ellison said. He's just skeptical. "Pete grew up in California during Vietnam, and during Watergate. That's just the perspective he brings to the table." So did the discussion last year turn hostile? A source close to Chiarelli, one who wasn't present when he spoke to Carroll, told us that it did. He said the general had to leave the room because Carroll had rankled him so thoroughly. Ellison told us that that wasn't true, that the discussion had remained friendly and "fun" throughout. A spokesman for Chiarelli at his foundation, One Mind for Research, did not respond to repeated phone and email requests. Ellison said Carroll did only what anyone else would do: "Pete had a four-star general in the room, one of the army's top guys. Why wouldn't you push the envelope?"